LG is one of the biggest companies on the planet, with billions of household appliances manufactured every year. That is why it is not a surprise that so many people in Melbourne are owners of LG equipment, most notably their washing machines. If you are one of those people, you have made a good choice as LG washers are known for being very durable and reliable. These machines do not break often and even if they do, LG washing machine repair is something that is done easily. But, the fact that fixing an LG washer is an easy task doesn’t mean you should try doing it on your own. Not only is it dangerous for non-professionals to mess with electrical equipment, but you would be also risking to make even more damage to the washer. That is why a much better option is to let the experts do it. Our skilled team from Do-All Appliances repairs and Services has planet of experience to spot immediately what is wrong with your washer. Furthermore, they have the right equipment to make that problem go away. On top of everything, our services do not cost too much, so there’s really no reason not to call us as soon as you spot that something’s wrong with the LG washer. The problem is that many people don’t notice that a LG washing machine repair is needed. Some think that the problems are not long-lasting and that the machine will do a better work next time. Others put the blame on the detergent or softener. And some don’t even notice that the machine is not working properly. This is why you need to pay attention to signs that the washer needs to be fixed. If you spot any of these signs, you need to call us right away. But, this doesn’t mean you’re limited to only the problems on the list. If there’s anything that’s making you think that the washer is not working properly, feel free to ring us. The key in preventing serious problems with LG washing machines is spotting them on time, so if you have even the slightest doubts that something might be wrong, your best solution is to call us. Apart from fixing washing machine problems, we are there for you if you want to do a regular inspection of the appliance. 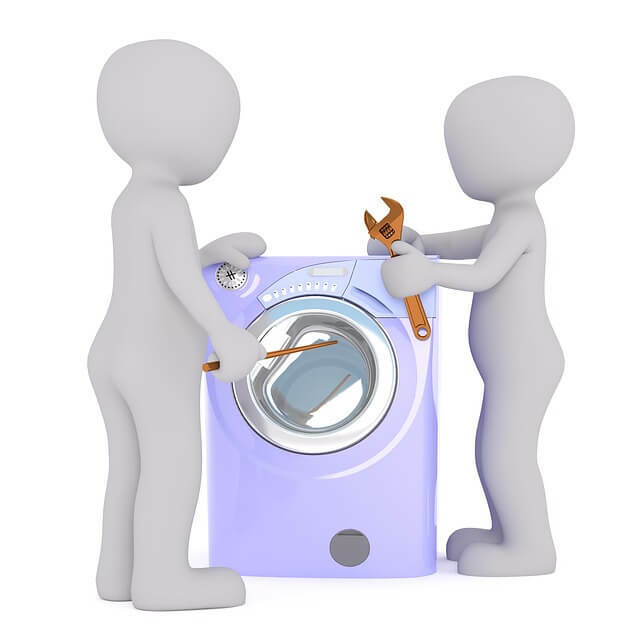 By letting our team inspect the washer thoroughly, you will make sure that it will work properly for many years to come. If we spot that some parts need a change, we will replace them on the spot. Our team stands at your disposal for any issue related to your LG washing machine. All you got to do is give us a call at 1300 366 365. But, our services are not limited to LG washers only. If you own a machine made by some other company, feel free to call us to have it inspected and fixed if there’s something wrong. Furthermore, we don’t deal with washing machines only, but all household appliances. If there’s something wrong with your dishwasher, oven, or some other part of the equipment, or you need fridge repair and other big appliances service around Melbourne area, you can get in touch with Do-All Appliance Service and we will make the problems disappear!